The luxury safari Kenya offers will take you to the Masai Mara National Reserve, Aberdares National Park, Lake Nakuru National Park, Samburu National Reserve, the coast and other top tourist attractions. The luxury African Safaris vacation packages here offer accommodation in luxurious lodges, flights to game parks and they can be customized to meet individual requirements. Kenya is the heart of the African safari and the Masai Mara National Reserve is a wildlife sanctuary not to be missed. It is home to the Big Five, over 500 species of bird and visitors to the park can witness the great wildebeest migration between July and October. The Aberdares National Park is home to a number of luxurious lodges including the Treetops Lodge, renowned for hosting Princess Elizabeth. Here animals visit you at the floodlit waterholes. Lake Nakuru hosts millions of pink flamingos and over 400 species of birds. The endangered rothschild giraffe and black and white rhino can be spotted here. This wildlife haven is in northern Kenya. Some animals are unique to the park such as the kudu, grevy’s zebra, reticulated giraffe and gerenuk. The luxury and safari Kenya offers can be combined with a beach experience. The coast has pristine white-sandy beaches and world-class beach resorts. 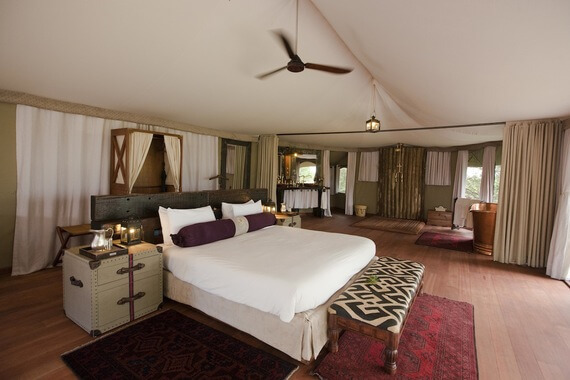 This Kenya luxury safari takes you to the Mara, Africa’s greatest wildlife sanctuary. The reserve offers excellent year-round game viewing and it’s one of the best places to take a hot-air balloon safari. This luxury tour package is a great introduction to this wildlife rich country. Samburu, in northern Kenya is a game watchers paradise with a pleasant aura of vastness and seclusion. Over 450 birds species have been recorded in the park. Explore the foothills of snowcapped Mount Kenya in search of elephants, buffalos, giant forest hogs, rhinos and other wild animals. Visit Lake Nakuru, which is home to the greatest bird spectacle on earth where over a million flamingos and pelicans can be seen or Lake Naivasha, a fresh water lake on the Great Rift Valley and host to more than 400 species of birds. Surrounding the lakes, wildlife includes buffaloes, leopards, lions, giraffes and rhinos. Visit Masai Mara National Reserve. Amboseli National Park offers effortless game viewing and breathtaking views of Mt Kilimanjaro (Africa’s highest mountain). Explore the foothills of snowcapped Mt Kenya where elephants, buffalos, giant forest hogs, rhinos and other animal roam freely. Samburu National Reserve has a pleasant aura of vastness and seclusion. All the Big Five can be seen as well as over 450 species of birds. Visit Masai Mara National Reserve. This Kenya luxury safari package combines the country’s twin attractions, safari and beach. See numerous animals and birds in the expansive Amboseli plains. Tsavo is home to all the Big Five and has diverse habitats, ranging from mountains, river forests, plains to wooded grassland. 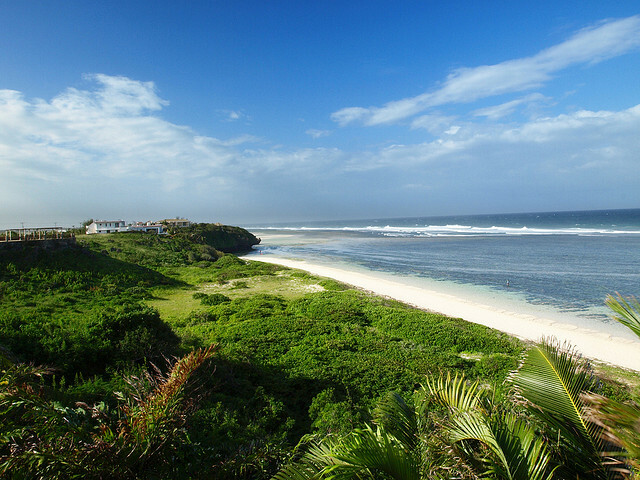 Enjoy a relaxing beach stay in Mombasa in one of the best beaches in the world. Plenty of activity available ex., snorkeling, windsurfing and kitesurfing. Fly to Masai Mara National Reserve, which offers excellent year-round game viewing, diverse wildlife and spectacular sceneries. Visit Mt Kenya (Africa’s second highest mountain) and explore the foothills of the snowcapped mountain, home to numerous wild animals. Samburu has a pleasant aura of vastness and seclusion. All the Big Five can be seen as well as over 450 species of birds. Fly to Kiwayu Island for a relaxing getaway in one of Kenya’s finest beaches in Lamu. The luxury safari Kenya and Tanzania offers are in this fantastic package. Visit Tsavo, the largest park in Kenya and home to numerous plain game and major geophysical attractions. Tour the expansive Amboseli plains then proceed to Lake Manyara in Tanzania famed for its tree-climbing lions and birdlife. Visit Ngorongoro crater, which stretches across some 8,300 sq km and offers a blend of landscapes, wildlife and archeology that is unsurpassed in Africa. Serengeti is home to an abundance of wild animals and renowned for the migration. Visit Masai Mara and Lake Nakuru in Kenya. These fly-in safari in Kenya takes you to either Masai Mara, Amboseli, Samburu, Tsavo, Meru National Park, Lamu, or Kiwayu Island. Use the form below to e-mail your luxury safari inquiry to Diwaka Tours and Travel. They normally give you feedback in less than 8 hours if you e-mail them within the working hours (9:00 a.m. to 5:00 p.m. EAT) and in less than 24 hours when you e-mail them outside the working hours.